This is the sixth and final article in our leadership consulting series that looks at creating transformative change in your organization. The full series will be available for download as a white paper once it is completed. In our last article, we discussed building your change management plan. Now let’s discuss how to continue the cycle and develop the skills of future leaders. In my experience as a leadership expert, an organizational culture that reflects your vision and values as a leader is sustained over time only through the internal development of future leaders. 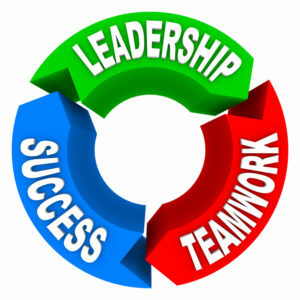 Continuing the cycle of strong leaders is possible by being proactive and developing the skills of future leaders. This is possible by embedding leadership development into your organizational culture and establishing strategies that will help identify future leaders internally, and by creating ways to develop the skills of future leaders through internal promotions, training, and leadership coaching programs. Emotional intelligence: Team members that are emotionally intelligent are more self-aware. They have a desire to achieve, are continuously looking to become better people and professionals, and understand how to build strong relationships with the people around them. Innovation: Innovation is a key factor that creates organizational sustainability. Look for team members who are adept at problem solving and are always looking for new ways and approaches to do things. Internal drive to achieve: People who have the drive to succeed make themselves known, and leaders need to pay attention to them. People who are always looking for new ways to evolve, add new skills, take on increased responsibility and develop personally and professionally have the potential to be leaders. People management: Understanding people, how to relate to them on a personal and emotional level, and the ability to get people to work together toward a common goal is an essential leadership trait. Perseverance: Does the person handle setbacks well? Do they learn from those setbacks and recover quickly? Are they cool under pressure? The ability to work through difficult times is a vital skill for a future leader to possess. Mentorship programs: Pair future leaders with a senior manager, create a clear mentorship program, and establish the goals and objectives of the program. Leadership coaching: Offer future leaders the opportunity to get leadership coaching, leadership consulting, and professional development. Job rotations and shadowing: Future leaders need to have experience in all areas of the organization. Set up job rotations and job shadowing of executive positions to prepare team members who have leadership potential. Regular feedback: Consistent feedback is essential. Establish regular communication and report progress to team members who are part of the leadership development program. Present new challenges and special projects: Challenge your future leaders by offering new tasks and special projects that give them more responsibility. How they fare will be a good indicator of their future performance when put in a leadership position. Allow them to fail: Future leaders need to be challenged to see how they react in difficult situations. You need to challenge them and allow them to fail strategically to enhance their growth. Not everyone has what it takes to be a successful leader, and when you identify leadership qualities in a person, you need to develop these skills to continue the cycle of effective leadership in your organization. Strong leadership and organizational culture is developed over time through continuous growth and professional development at all levels of your organization. This completes the six part leadership consulting series. Please contact me if you would like the full series as a single white paper.